Costco, lululemon athletica, and H&R Block are all set to post third-quarter earnings reports over the next five trading days. Over the next few trading days, quarterly reports could power big moves in H&R Block (NYSE:HRB), Costco (NASDAQ:COST), and lululemon (NASDAQ:LULU) stocks. Here's what to watch for in each earnings announcement. Tax prep service provider H&R Block will post third-quarter earnings results after the market closes on Monday. 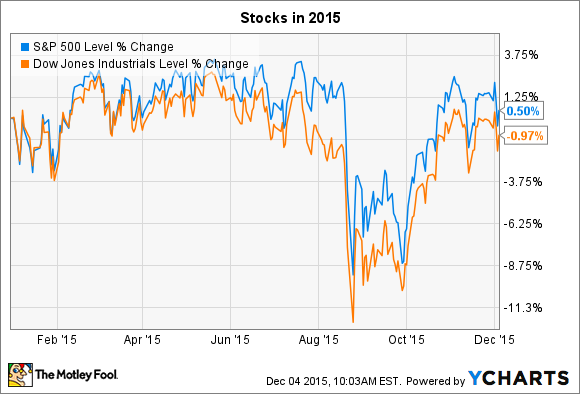 The stock is up 9% so far this year, compared to a 2% drop for equities as a whole. But shares haven't budged much since H&R's second-quarter earnings report that included a 3% sales increase and a net loss of $97 million, or $0.35 per share . Wall Street pros are expecting operating trends to worsen for the third quarter. Sales are expected to shrink by 2% to $131 million as net loss clocks in at $0.48 per share. But shareholders will be just as interested in hearing about the company's progress in transforming its business structure. This will be H&R's first quarterly report since splitting off its bank segment and devoting billions to repurchasing its own shares. Back in September, CEO Bill Cobb told investors he expects these capital structure changes should power "sustainable medium and long-term value" for shareholders. Costco's stock is at an all-time high heading into its third-quarter release, having risen 16% since the company's last quarterly check in. Despite persistent worries of an imminent customer traffic slowdown, the retailing king's market-thumping growth pace has held firm. Comparable-store sales spiked by 6% in the second quarter, while Wal-Mart's (NYSE: WMT) Sam's Club could only manage flat performance. Investors have every reason to expect more of that kind of outperformance this week. On Dec. 2, Costco announced that its comps rose 6% during the month of November and 6% over the three months ended on Nov. 29; a period which includes the high-volume Black Friday shopping surge . Beyond hefty sales growth, shareholders will be eager to hear about the 12 new warehouses the company aimed to have opened this quarter on its way to a record year for store expansion. Meanwhile, keep an eye on membership metrics, including renewal rates and fee income, which are the real engines of Costco's profitability. Clothing retailer lululemon also posts third-quarter earnings results on Wednesday and shareholders could be in for a large stock price swing – in either direction. The company has attracted a significant bearish following as short sellers represent roughly 25% of its outstanding share count. Most recently, the stock dropped on an analyst downgrade that predicted sinking profitability for the yoga-inspired apparel retailer. When pessimism runs this high around a business, it tends to magnify share price swings on earnings release days. Yet if the company proves detractors wrong, the swing could be a sharply positive one. To do that, CEO Laurent Potdevin and his team will have to show progress on both sales growth and profitability. Gross profit margin sank last quarter – diving to 47% from the 50% mark a year prior. But lululemon did manage 11% higher comps in exchange for that drop . Investors will want to see both metrics improving at a steady pace before they can declare the company's turnaround has staying power.